Perdeberg Bunty is a 10 year old mare who is very prone to Monday morning. Last year in October she nearly died due to Monday morning. Dr Gavin Rous described it as the worst case of Monday Morning that he has ever seen. She was lying down for a week before she got up and I was advised to retire her. In May this year we took her to SAIC where she competed in the 160***km event and she came 2nd and won BEST CONDITION as well as BEST OF THE BEST. Endurance Paste, Amino B, Pharlap, Succeed, Neutralyte, Sweatmix, MSM and during the ride Ener-Gee, Recharge. I’ve had great success in the past with these products and it was with great skepticism that I’ve accepted your offer to use TWYDIL products as they are completely unknown to me and with the background history of my horse and the known fact that you don’t change products before a big ride. I was prepared to take the chance. 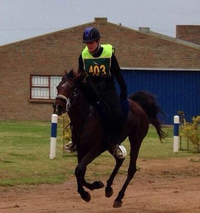 As you know my horse was only included in the ERASA standard weight team 5 weeks before the Walvis Bay Africa Endurance Championship and that she had been resting since SAIC (10 weeks) when we started training. I’ve started giving the TWYDIL products 4 weeks before the ride because I wanted to get my horse in training before I gave her any extra supplements. The products that I’ve used are MSM, Ener-Gee, Amino B, Recharge and from the TWYDIL range I’ve used Racing, Electrolytes, Omegadil, Protect Plus and Vigorade. My first observation was that it is a lot of powders and that the horse does not eat her food as quickly as usual, but she did clean up her morning and evening food. When she was not working hard she tended to leave some of her concentrates. As I’ve mentioned, we only had 5 weeks of training to the day of the ride and 4 weeks of giving the supplements. 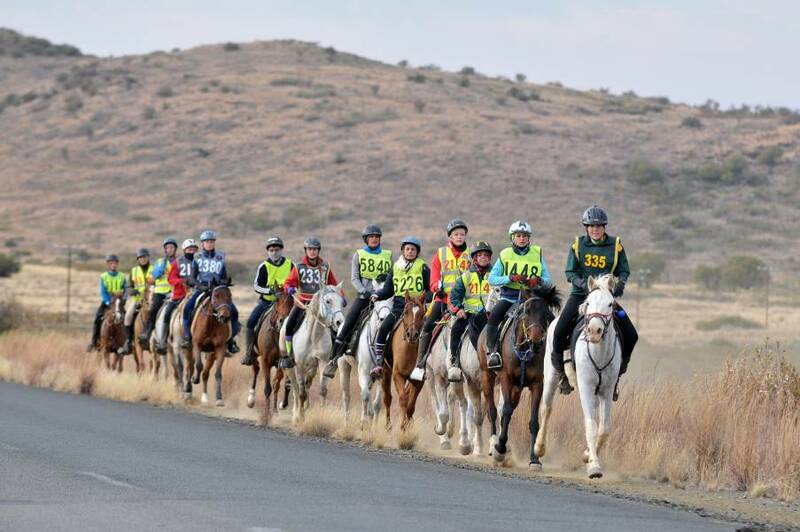 At first I could not see any results but I must mention that when we left for Namibia a week before the ride, during the transportation she transported very well and showed no signs of stress and discomfort. We had 4 horses in the box. When we arrived in Namibia 3 days later, I started to notice that there is a definite change in her coat and attitude for the better. She never stopped drinking or eating. She actually gained weight during the travel. I decided that we must approach the ride conservatively because I was worried about her fitness. What happened during the ride is history. She stepped into a hole on the second leg and Jenine fell off and injured her hip , so we lost a bit of time. On the 3rd leg we also lost some time because Jenine could not run as she normally would over the dunes. When they left for the last leg they were 7th. I said to her to ride as fast as the horse can on the last 8 km. She told me that they were travelling at 35 km/h on the hard stretches between the dunes. They finished 4th. To me that was better than I could wish for, taking into consideration the limited time for training and the fact that the horse has never seen sand before. She was never “hot” , but had a lot of energy + stamina and looked full of “life”. Our trip back was done over 2 days and with the same easy travelling to Namibia. She arrived home in a better condition than when she left for Namibia, and is in the best condition she has ever looked after a ride. (The only thing that was different was the Twydil products). I am a great fan of Stride. I use the liquid See vit religiously on one of my horses as he ties up badly and without it he would be nowhere. I am also a huge fan of Neutralyte as well as Haemoboost. I see great benefits and differences in the energy levels and performance of my horses when on these products. Everyone that ever owned a what is perceived as a ' difficult' horse, will know the feeling of relief once you finally stumble onto a solution.....something that works! 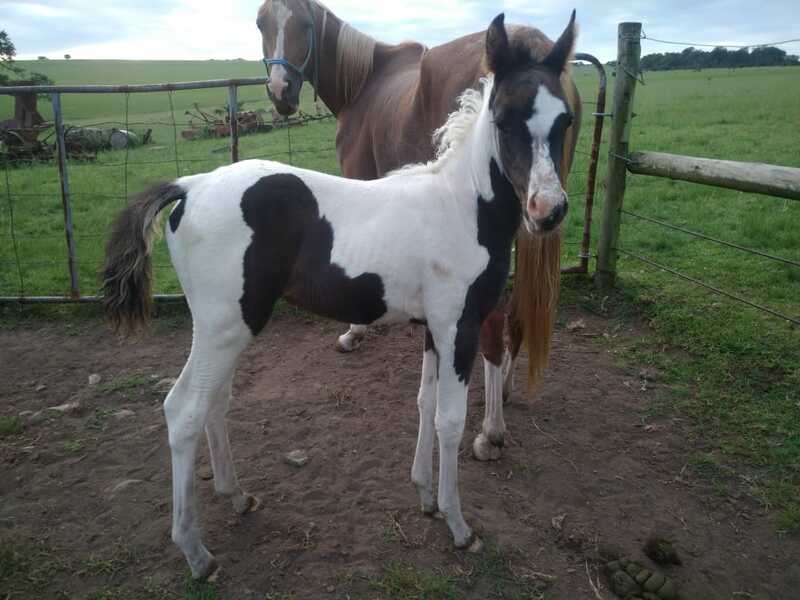 Our mare Nabeehah Loreleegh has always been a very talented individual, a sweet horse at home, but stressed and unmanageable in a competition environment. We were seriously thinking of just giving up and retireing her, when Julie Craig suggested we try Rigly's equicalm. As I have said I really like this product (Rigly Endurance Paste) and use it all the time during my competition season and am very happy with the results. 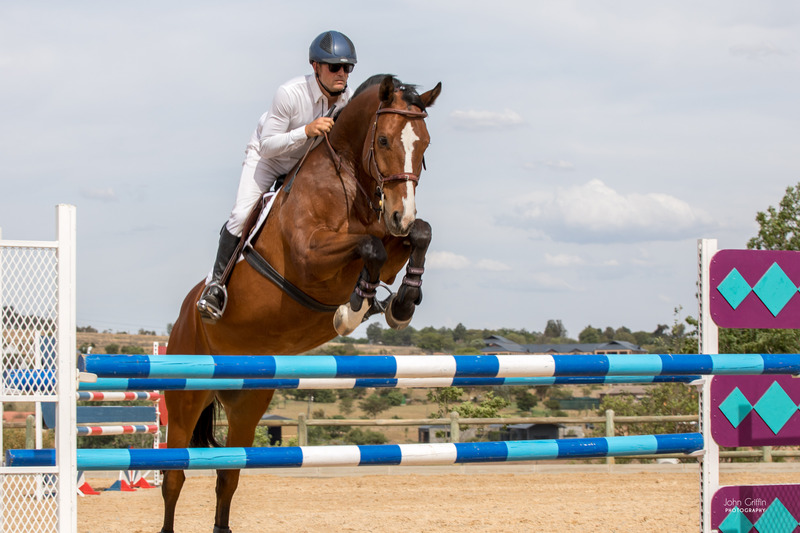 My top horse, a 14.2hh "pocket rocket" won the Victorian Championship 160km ride last December and I'm sure Rigly Endurance Paste factored in our success! 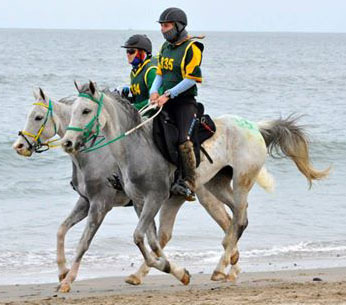 Nourma Prins was eliminated last year at the Tip of Africa endurance ride and I had been battling with him all year, just not his normal feisty self and so I had his blood drawn and analysed and everything was run down and basically wrong. I chatted to Glynn and he gave me a course of Succeed to try and 8 months later I have my horse back. Stomach ulcer gone, weight looking good and finished a really tough 120 km with still energy to go on! Thank you Stride!